If you are walking off the stage with your head hanging, perhaps some of these reasons will explain why. Understanding what you didn’t do will jumpstart your drive for improvement. A LESSON IN BODY LANGUAGE: By smiling, making eye contact with the judges, and placing her hands together in the traditional Thai “thank you” position, Miss Universe 2005 Natalie Glebova distinguished herself during her Interview final question on-stage at this year’s Miss Universe finals, with co-hosts Nancy O’Dell and Billy Bush. Okay, we’ve all seen this happen before: the Top 5 finalists are announced and the contestants prepare to compete in the on-stage interview. The first contestant to take the microphone is dressed in a stunning evening gown, has already won the Swimsuit award, and is amazingly beautiful even on an “ugly” day. She draws her question from the fish bowl, begins her answer cautiously, gets confused halfway through her answer, and ends on a weak note. She looks dejected as she leaves the stage. Don’t prepare for the interview before your walk in the door. Okay, I know you think this is a basic, but you’d be surprised how many students I see who haven’t kept a copy of their bio, don’t know the answers on their forms, and have never thought about what they’re going to say, let alone practiced saying it out loud. You should be spending at least twice as much time preparing for the interview as you did picking out your competition wardrobe. Don’t establish eye contact with the judge(s). Your ability to establish and maintain eye contact with the judges during the interview is the key to connecting with them intellectually as well as emotionally. If your eyes dart away or you look around the room while you’re speaking you’ve lost the crown before the interview is even over. Don’t show relaxed body language during your interview. Believe it or not, studies show that over 80 percent of what we communicate is picked up through body language. You need to show the judges that you’ll be relaxed and approachable when making your royal appearances. Learn to relax, lose those nervous jitters, and work to eliminate any distracting facial expressions or excessive hand movements. Join a local Toastmasters group or take extra speech or debate classes in school to hone your skills. Don’t develop good speaking skills or eliminate regional speaking habits. Okay ya’ll, here’s where things get a little tricky. Everyone has natural speech patterns that reflect the area where they grew up. You need to make sure your speech is not made up exclusively of regional slang and your accent is not so strong that you’re difficult to understand. Expand your vocabulary with “word-a-day” calendars and by reading news magazines. Practice talking like the anchors on the national television broadcasts who are trained in “accent neutral” speech. Don’t dress like you mean it. Let’s be honest. You don’t have to spend a fortune on your interview suit, but it does need to fit well and be a style that complements your figure. Make sure you budget a few dollars to have your suit tailored and consult What Not To Wear by Trinny Woodall for ideas on flattering silhouettes. A sloppy appearance in Interview will give the impression that you’ll be a sloppy titleholder. Don’t give a complete, interesting answer. So often in an interview, contestants will answer the question in one short sentence. Generally speaking, a good answer is at least three to five sentences long. Giving an answer that is too short gives the impression that you’re shy, don’t really have anything interesting to say on that topic, or aren’t confident about your opinion. Don’t stop talking, and talking, and talking. Of course, the flip side to reason No. 6 is that some contestants will keep talking and talking and their answer lasts forever. Commit this faux pas and you run the risk of boring your judges. Once you’ve lost the judges to boredom, you’ll never get them back. If your answer is longer than one paragraph, you’ve probably gone on too long. Don’t send a clear message. Is it just me or does this one drive you nuts, too? The contestant on-stage claims her platform is teenage drinking and driving, although she spends all her volunteer time working for Save the Whales. You’ve got to send a consistent message to impress the judges; don’t confuse them by introducing information that seems contradictory. Don’t exhibit respect for the pageant system, other contestants, or judges. Can’t you always sense when you meet a contestant that thinks she’s better than everyone else? They don’t respect you and it makes it difficult for you to like them too, right? Well, that’s exactly how the judges will feel if they sense that you’re a “know-it-all” contestant who thinks she’s the next pageant diva in the making. 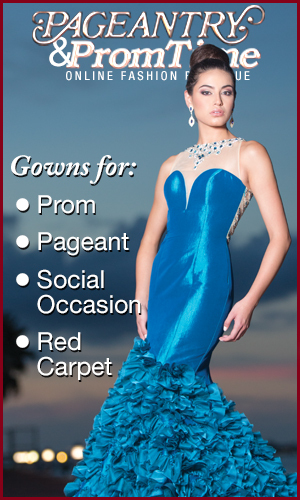 Make certain that you treat the judges, pageant staff, and other contestants with respect at all times. You never know who’s watching! Don’t look like you’re enjoying the interview. While I understand that sometimes contestants don’t look forward to their pageant interview, you must at least look like you’re having a good time. If you maintain an overly serious expression or look like you’re worried or unsure about your answers, the judges won’t be giving you those all-important interview points. Discipline yourself to speak with a pleasant expression, especially when you’re nervous. You’ve got to at least look like you’ve having a good time. Now that you know the 10 steps to ruining your interview, rip out this page, stick it in your pageant notebook, and make a mental note to read it again during your next pageant prep. Then you can wow the judges with your interview instead of blowing it. Valerie Hayes is an interview and public speaking coach with over 20 years experience working in Fortune 500 companies. She has coached executives, pageant contestants, job seekers, and broadcasters, and is a master of long-distance coaching. She was recently featured as the pageant interview expert on MTV’s “Made.” Ms. Hayes is a graduate of the University of Minnesota with a B.A. in Industrial and Organizational Psychology.